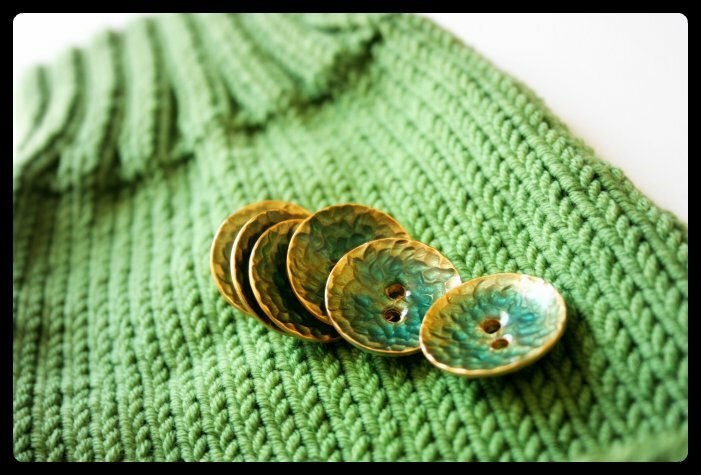 Up at Stitches West a few weeks ago, I indulged in some button buying. 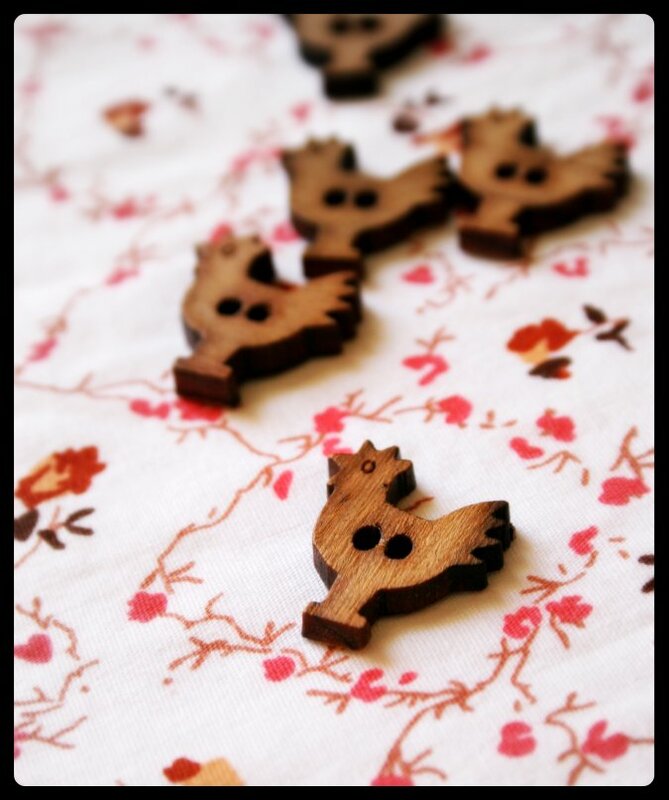 I am not sure what I will use these little rooster buttons for. But I just had to get them. 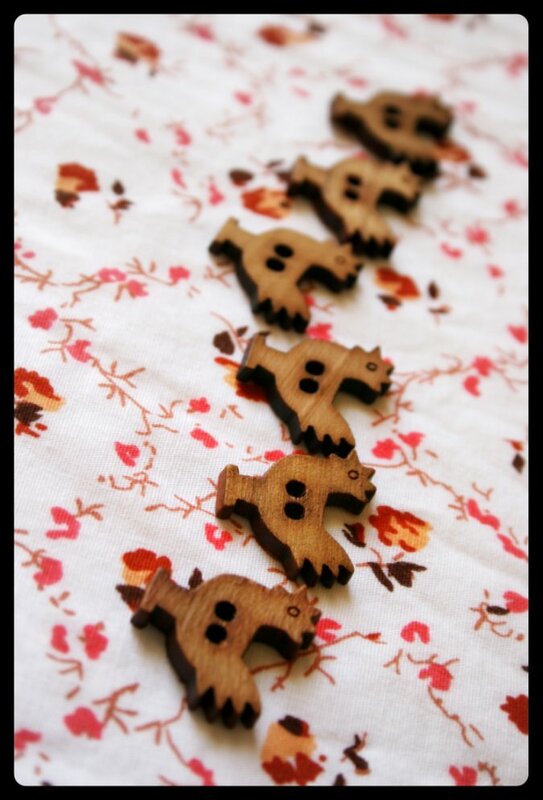 Don't you think they would be adorable paired with a little red toddler sweater? 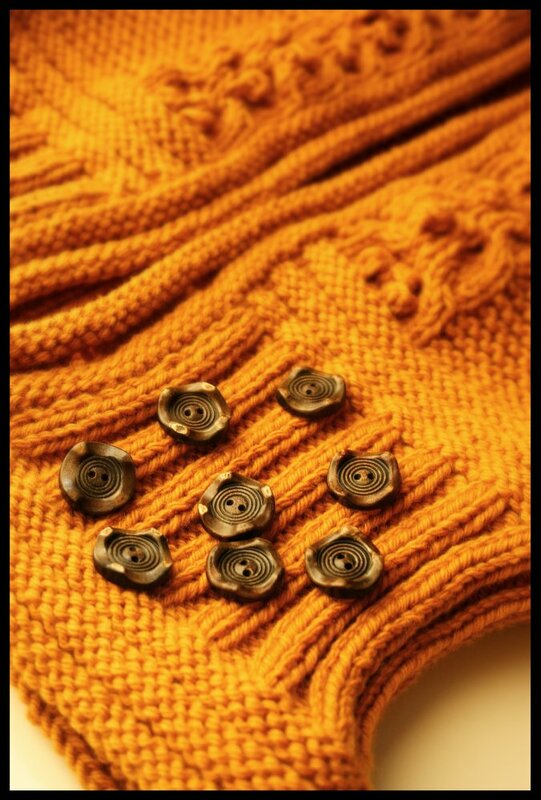 Hmmm... the design wheels are turning..
Also, I brought my long lost Sienna Cardigan along for some button matching. 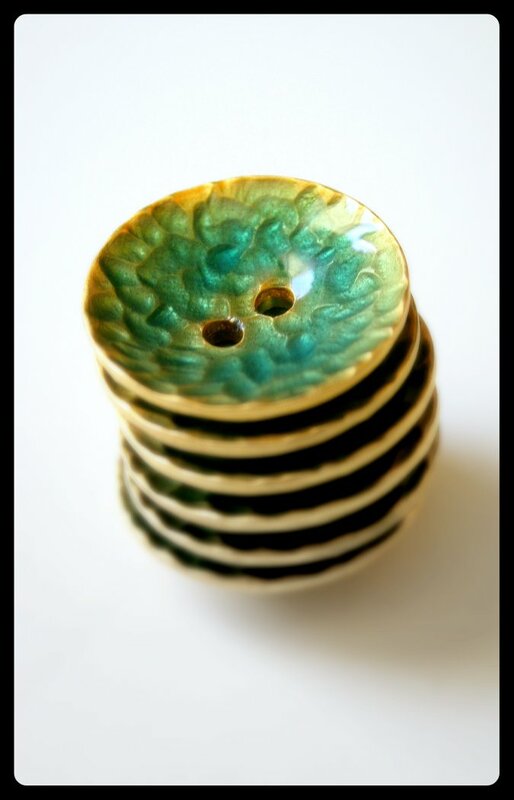 I came across these buttons almost immediately and they fit great. Ok. Now I have no excuse. I really need to finish this project up! Its amazing what the right button can do for a finished piece. 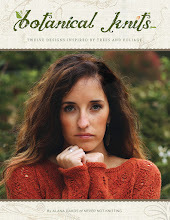 If you are interested in trying out O-wool Classic, the yarn I used for my Forecast sweater, Dancing Ewe Yarns is offering a special discount of 20% on all O-wool Classic and free shipping for all orders that include this yarn. This offer is only valid for the month of March and is exclusive to the Nevernotknitting podcast listeners and blog readers. The winner of last episode's prize drawing was Deborah! Congratulations! She won 5 skeins of O-wool from Dancing Ewe Yarns! Its finished and it fits! Kinda. I like it. It fits much better than I thought it would but really I should have knit the 36" size rather than 32". Then it would button comfortably. I can button this thing with one button keeping it closed, but as for the rest. Forget about it. They are just sewn on for decoration. But its not all that bad. I think that Forecast looks kind of cute as a fitted cardi. 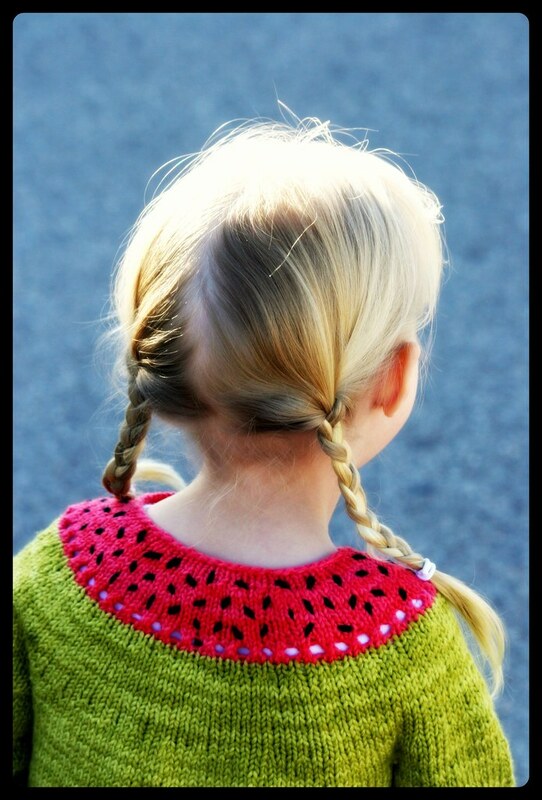 I love the cable and bobble pattern. I find that it adds interest while not being too overwhelming. One of the modifications I made was that I worked 3 st bobbles instead of 5 st. So the bobbles are smaller and not so uh.. bobbly. I also made 3/4 length sleeves instead of the full sleeve. I thought the 3/4 length would suit the style more since I knew it would be on the small side. The funny part is that this yarn, O-wool Classic, blocks out very well so my 3/4 sleeves grew to be full length after blocking. I kind of have to scrunch them up my arm a bit to get them to be 3/4 length again. I am so grateful for blocking. Aside from the sleeve issue, blocking did such wonders for this garment! Like a previous commenter brought out, "Blocking fixes everything!" I ended up using only 4 skeins of O-wool Classic with yarn to spare making this a very economical knit. I also love how the O-wool feels after washing. It bloomed and softened wonderfully while still maintaining crisp stitch definition. This was a fun project and it went relatively fast. And.. Its such a cool design! Where could I ever buy a sweater like this in this color? That's the great thing about knitting. Well. My Forecast sweater is definitely coming along. 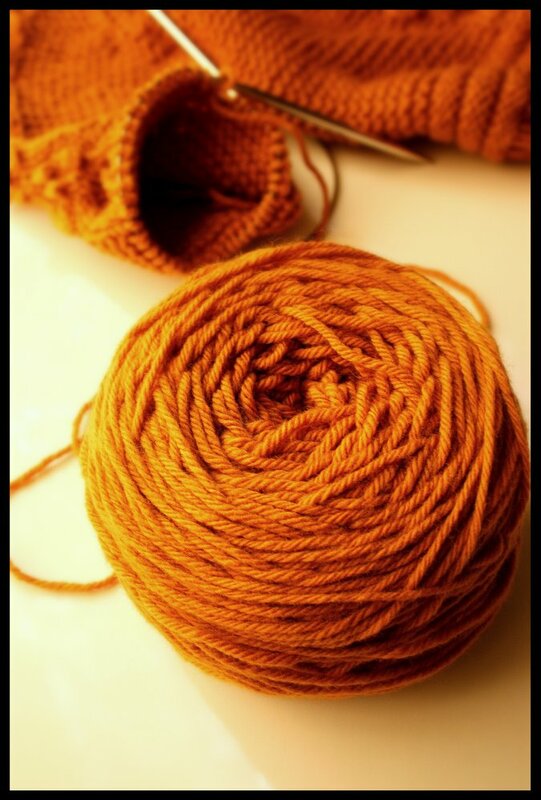 Its squishy, textury, fun to knit.. I really think I'm going to love this sweater! Um yea... I am quite certain that this sweater might be a little small on me. I never know what size to choose!!! I fall between the small (32") and medium(36") size on this sweater. I measure somewhere around a 34 and it seems that every time I try to knit a 36 inch size it looks boxy and baggy. So lately Ive been leaning towards 32" sweaters and it has turned out well. 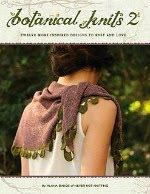 My Lush and Lacy Cardigan and Cap-Sleeved Eyelet Top are both good examples of this. But this one is a little bit too snug. My gauge might also be to blame. I don't know. Sometimes I knit tighter than my swatch. Its a little disappointing but I'll be fine. I still haven't blocked it yet which might loosen things up, and if all else fails I can just wear it open with just one button keeping it together. I tend to wear all of my sweaters that way anyways. And there is also crash dieting, which is a last resort of course. In case you are wondering. I am not ripping out and reknitting. No way. So the body is all knit and I am just working on the sleeves now. I love the bobbly panel going down the sleeve. Its so cute! Looks as though I won't even need a 5th skein to complete this sweater. I only have a sleeve and a 1/2 left to knit and I still have this much left on my 4th skein of O-wool Classic. I don't know if you've noticed but I've taken up a new hobby. One that I enjoy almost as much as knitting. Photo taking and photo editing!! Introducing my new obsession: Photo Collage. I cant stop. Really. I've tried. So here are pictures of the new sweater I'm working on. In a collage format of course. 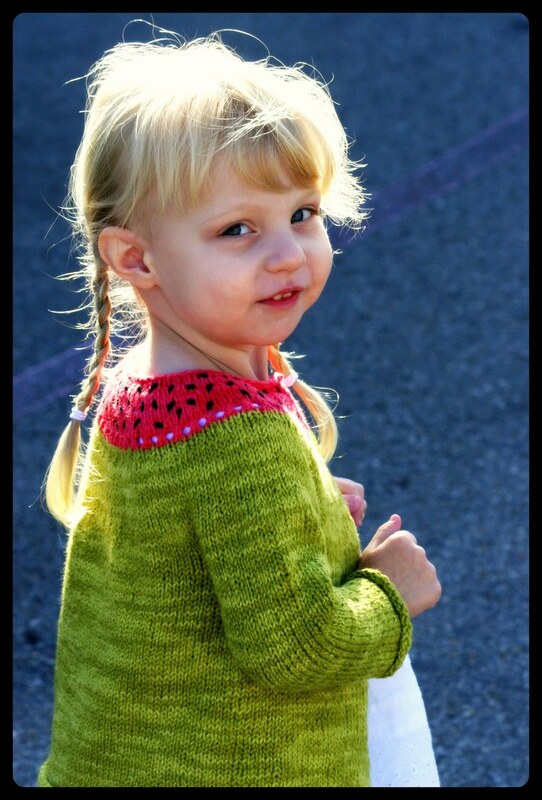 I love this sweater project! It has really been a joy to knit. Its worked up in one piece from the top down and has these fun bobbly panels on the fronts, back and sleeves. The pattern is called "Forecast" and can be found here. I love all of the textural changes. Its a really cute, unique design. I can visualize this as being a really fun garment. Funky and different. Especially in this color, right? The yarn is a slightly thicker gauge than the Cascade yarn that this pattern calls for, so this sweater is more structural, kind of jacket-like, which I almost like better. It suits the style in my opinion. Yesterday I was really sick so I just sat around and worked on this sweater. I made some serious progress so I should have this thing finished up shortly. I cant wait to wear it! 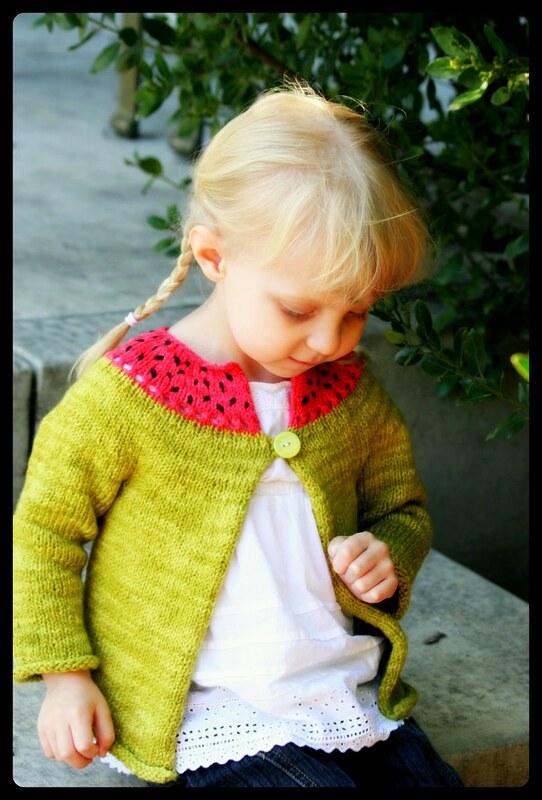 The Watermelon sweater pattern is finally finished! I am really really pleased with how this one turned out. The sweater fits my daughter perfectly! 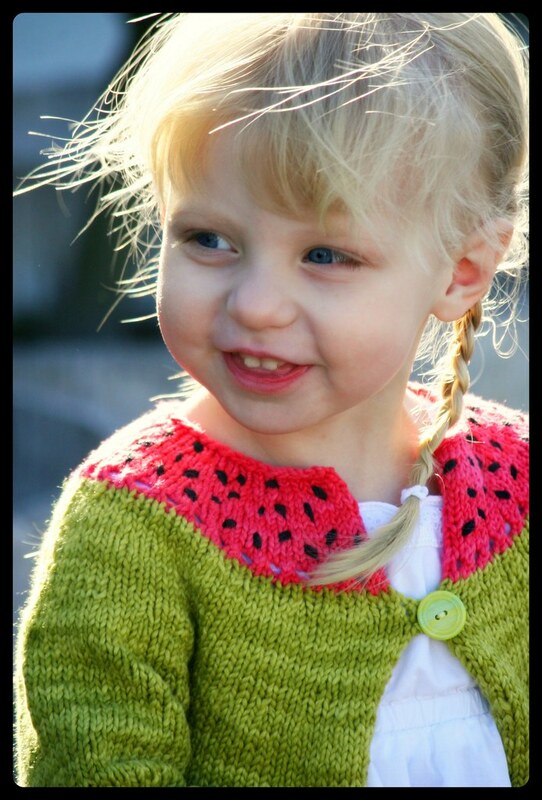 This is such a whimsical little pattern that is simple and fun to knit. 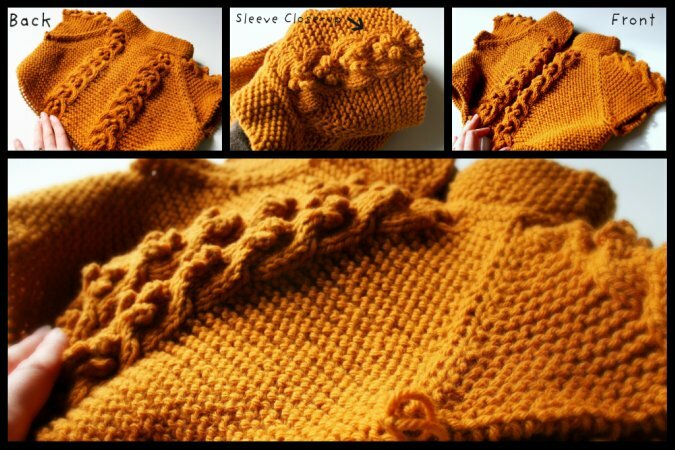 I think that this is a perfect little sweater for a beginning knitter because there is no ribbing, picked up stitches, or seaming! 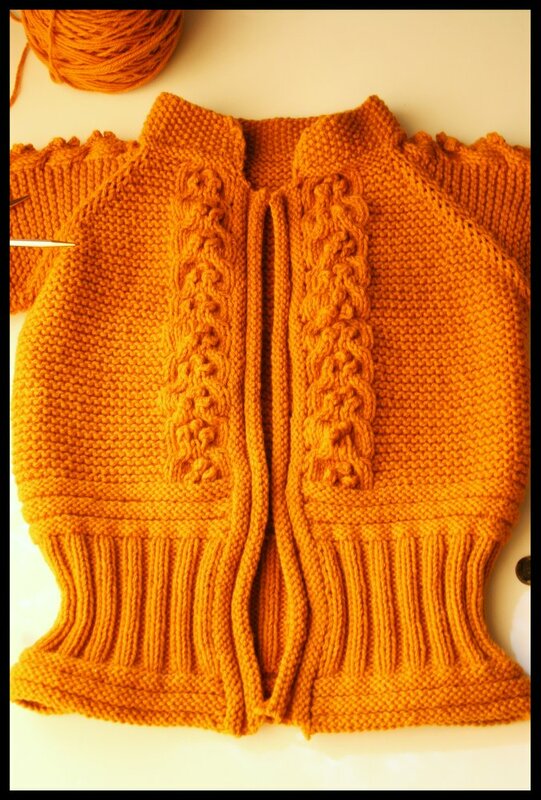 The sweater is knit in one piece from the bottom up. I also included 2 different closure options for the cardigan. 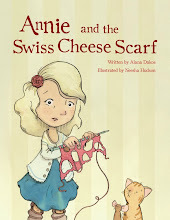 Click here to see pictures of the "ribbon-tie closure" version. 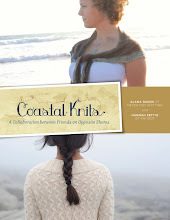 Here is some pattern information for those who might be interested in knitting it. 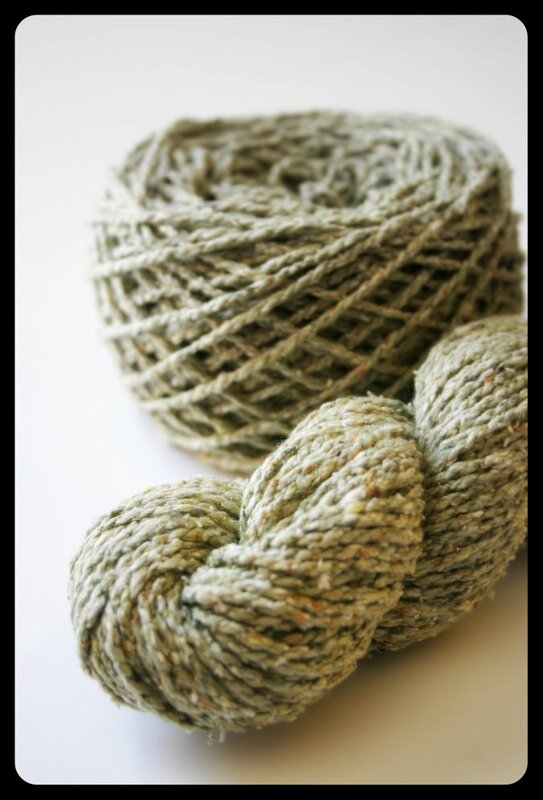 The Manos Cotton Stria yarn is super soft and so pretty with the slight color variations. I felt that it complimented this design perfectly! You don't have to make this pattern into a watermelon. 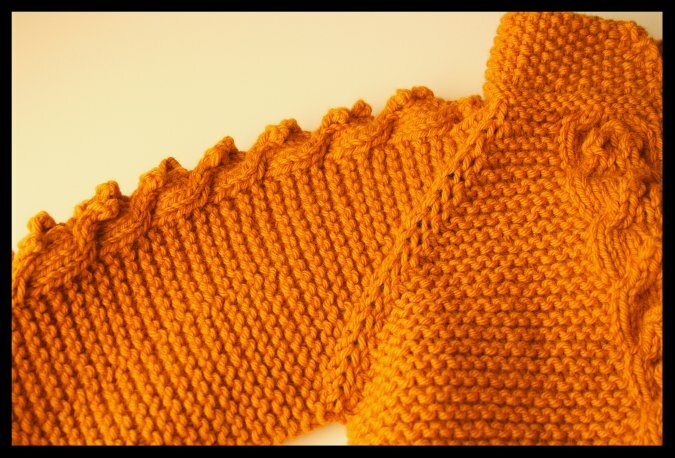 If you'd rather, you could knit it using one color which would give it an entirely different look. 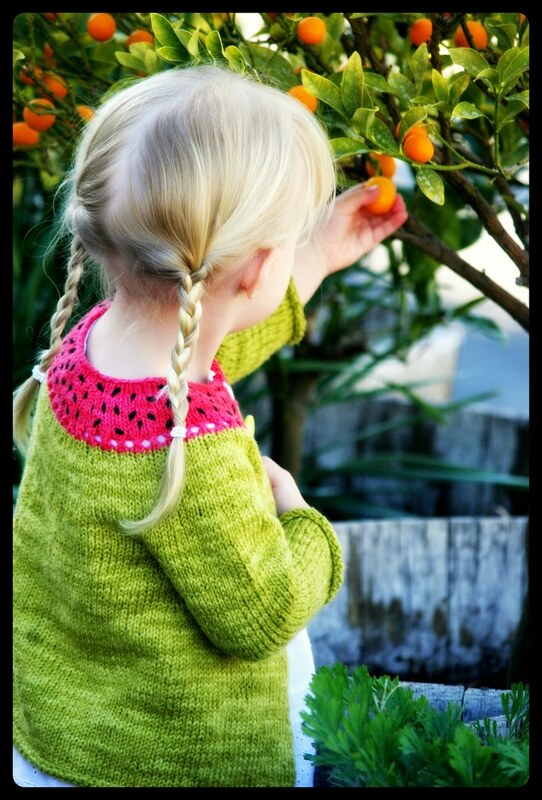 I know that this is going to be such a great springtime sweater for my little one. The colors are vibrant for the season and the cotton is ideal for springtime evenings. 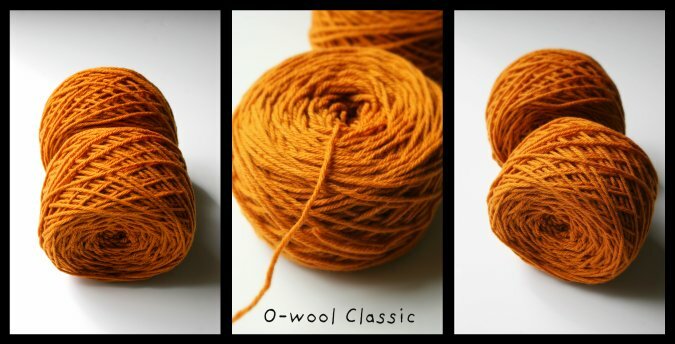 If you'd like to give the O-wool yarn a try, Dancing Ewe Yarns is offering a special discount of 20% on all O-wool Classic and free shipping for all orders that include this yarn.